Please find a copy of a Press Release on the Heritage Bill. It centres on the motion passed unanimously by Dublin City Council last Monday, an action that was made a reality in no small part by one of our IWAI Carrick on Shannon members. Dublin City Council unanimously passed an emergency motion proposed by Labour Councillor Dermot Lacey and seconded by Labour Councillor Mary Freehill on Monday night. The motion calls on “the Minister for Arts and Heritage to defer the introduction of the Heritage Bill 2016, in so far as it proposes to amend the Canals Act 1986, which would see the right of Local Councils to have a meaningful input on the operation and Bye laws regarding the Canals to allow dialogue with Dublin City Council, the Association of Irish Local Government and the Inland Waterways Association of Ireland in relation to same”. Some further information: The Heritage Bill 2016 is due to be reintroduced to Seanad Éireann at 2pm Wednesday November 9th for Stage 3. Section 2 of this Bill proposes considerable amendments to the Canals Act 1986. The introduction of the Heritage Bill 2016 as drafted will create significant differences between the Canals and other Irish Navigations, the bill if passed will result in reduced usage of the canals and thus impact on the local community through the loss of revenue of the visiting boaters and canal users. If this Bill passes there will be no opportunity through monthly Council meeting to discuss proposals and engage in consultation on Canals legislation and future Byelaws, as the proposed consultation period will last for just 21 days. Councillors will have no input into legislation that will not put user requirements, tourism development & your communities at the centre of the regulations. 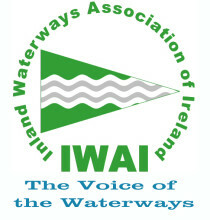 IWAI have called for a consultation period of 90 days to safeguard against this eventuality. The precedent for this has already been established by Waterways Ireland, (the North South Body charged with managing our Inland Waterways), through the Public Consultation on their Corporate Plan in 2014. In relation to the overall canal section of the bill, IWAI believes that it is a negative and imbalanced approach to introduce legislation that penalises 99% of waterways communities to address the problematic area of 1% (due to unlicensed boats, harbour hogging). These matters can be legislated for without effectively penalising the other less populated areas. IWAI Carrick-on-Shannon Branch Hon. Secretary.